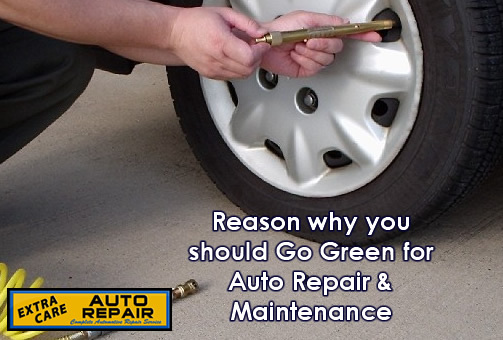 If the tires of your car don’t have sufficient air pressure, you might experience an uncomfortable drive. If you want better handling, improved road grip and good traction, you have to focus on inflating your tires from time to time. This helps maintain a good pressure in the tires and allows for a comfortable ride. If you want to prolong the life of your car’s tires, you should make sure you never drive with an uneven level of air pressure in the tires. In case the tire pressure is out of balance, driving could become seriously dangerous for you. If you inflate the tires regularly, you will enjoy a number of benefits, including maximizing the lifespan of your car tires. However, while inflating the tires, you should avoid over inflating or under-inflating as both can be dangerous for not only you but also for your car. If the air pressure is not up to the required level, the tires would wear out faster and would place more pressure on the engine. When the tires are under-inflated, more of them would meet the ground/road, which would cause the shape of the tires to deteriorate. Not only the base but also part of the side of the tires would be exposed to the road that will increase the overall friction and resistance and would ultimately decrease the fuel efficiency. If you increase the air pressure too much, the tires can over inflate, which cause uneven tread wear. The center of the tires would get smooth while the sides would have a normal tread that will cause the road grip to decrease a lot. This way you can reduce the area of the tire that meets the road. Therefore, whenever the car hits a pothole or an uneven, rugged road, the chances of the tires exploding increases. This can also make handling difficult and hard. To make sure the tires of your car have optimal pressure, you should check the tires every morning to see if they look fine. If the any tire looks as if it is about to get flat, you should immediately check and inflate it. If you leave the tire flat for days, it might cause the shape to get worse. You can use your car’s manual to check the ideal tire pressure.